Stripped of his clothing, Christ stands bound to a marble column in the center of this miniature. Blood from the beating he has already endured covers his entire body and forms a pool at his feet. 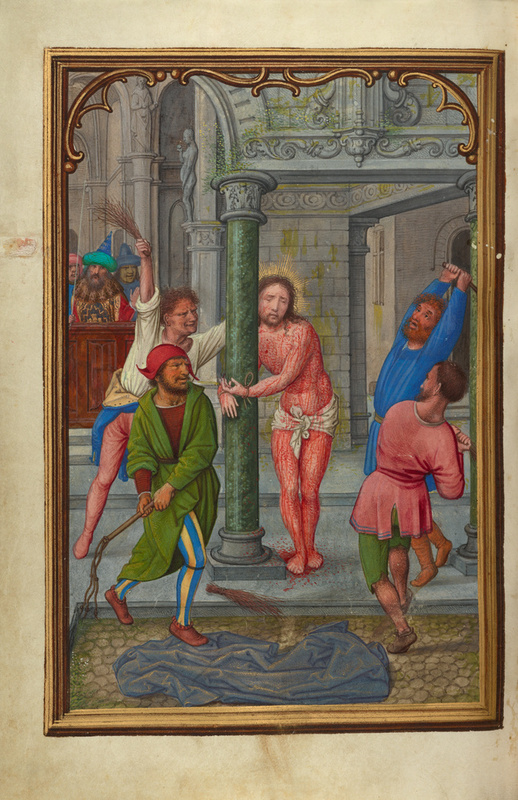 Simon Bening chose to depict the most dramatic moment possible: all four of the torturers swing back their whips at the same time, making the viewer anticipate the simultaneous strikes that Christ's already broken body will have to endure.